Join Greta as she teaches you the different stitches your serger is capable of. You will make and label a sample of each during class building an invaluable reference tool for your future use as you become the Serger Maven you have dreamt of! 1. Your Manuel and threading chart!!! 5. Pen or pencil to take notes on Serger brochure that will be provided and for writing on the fabric if you like. 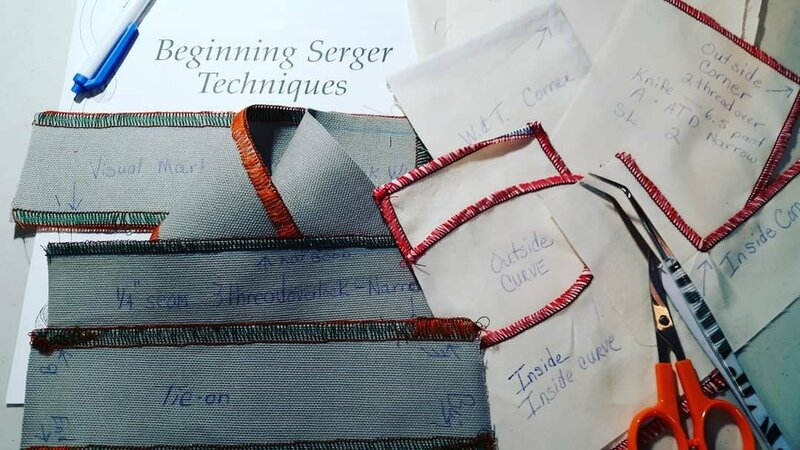 After this class, Greta has a series of classes designed to use your serger to create a variety of projects. Greta is a Martha Pullen certified instructor and loves to teach.